For the second time since its founding in 1972, Oronoque CC in Stratford will host the Connecticut Women's Amateur. 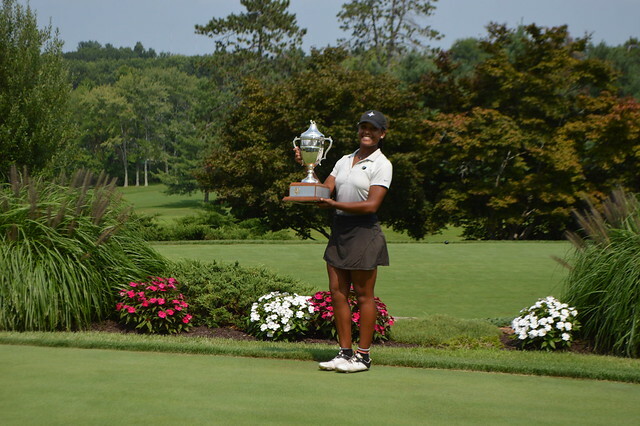 Inaugural Connecticut Women's Amateur at Hartford Golf Club. Par & Yardage: Oronoque Country Club will be set up to play at a total of approximately 5,600 yards and a par of 73. In 1972, English-born Desmond Muirhead built a conventional, demanding golf course whose defenses are its narrow fairways and perplexing greens. Length is not an overwhelming factor at Oronoque—it's longest tees are just shy of 6600 yards—but patience is on a layout Golf Digest has included on its list of toughest courses. Entries Close: Wednesday, July 10 at 11:59 p.m.
About the Tournament: 18-holes of stroke play to be conducted on Wednesday, July 24th and Thursday, July 25th. The player with the low 36-hole total will be declared the Champion. In the case of a tie, a hole-by-hole playoff will be conducted immediately following the conclusion of all rounds on Thursday, July 25th.